Many geeks love the post-apocalyptic genre. End times are fascinating to us for a great number of reasons. We’ve all enjoyed seeing marauding bandits roam the wasteland only to get dealt with by leather-clad anti-heroes. The origin of the total destruction of civilization plays a significant role in the realism of this type of setting. Some settings are drawn directly from real world concerns about what the future holds. The Mad Max series of films imagines a world without fossil fuels and the collapse that ensued. That setting was directly inspired by the Arab Oil Embargo which threatened the economies of the developed world. Ecological threats can be just as inspiring for the post-apocalyptic milieu. More Than Honey is a Swiss documentary about the global epidemic of unexplained bee deaths. All over the world, bees are suffering from a mystery syndrome called Colony Collapse Disorder (CCD). I’ve followed this looming biological disaster for several years now. The impact of bees on food supply is astounding. According to the film, a third of our food is a direct result of bee-driven pollination. Given the exponential rate of population growth, a sudden disruption to food crops could have devastating effects on human health and global stability. Bees are indeed more than just honey. 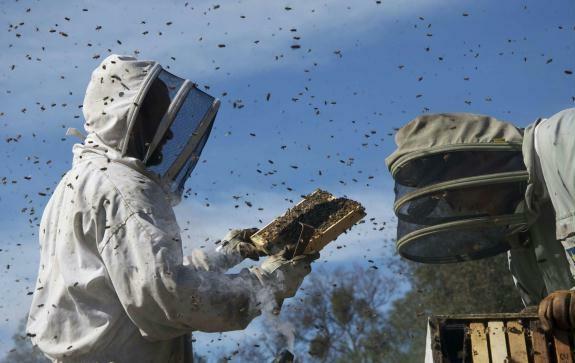 This film introduces the audience to the secret lives of bees. 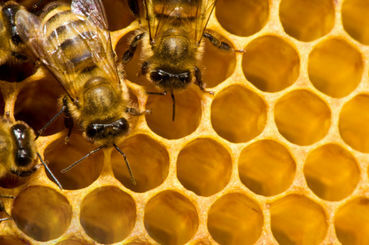 Many experts and apiarists are interviewed to discuss the realities facing the health of bees. These are not only informative but also surprising. Some of the most amazing facts from the documentary are the parallel processing power of hived bee brains, their decision making capabilities, and the complex society within the hive. An important theme that the filmmaker illustrates is how industrialization and over-domestication has weakened and sickened the bee populations of the world. Entire regions of China have no bees and the pollination is painstakingly carried out by hand. The United States’ industrial-scale bee-keepers treat our furry flying insect friends like little machines. The consequences for so thoughtlessly disrupting nature is a point that Imhoof makes with subtle consistency. You might become a bit disgusted with the idea of A Clockwork Beehive by the end of the film. This visceral reaction is another success for Imhoof. The best parts of the documentary were the macroscale shots of bee life. The visuals were some of the most stunning moments in documentary filmmaking I’ve ever had the pleasure to watch. It makes it so much easier for the viewer to relate and empathize with bees as fellow living creatures. You are left with a respect for their own inherent dignity. As a nature documentary, an expression of activism, and an artful film, More Than Honey is a remarkable success.